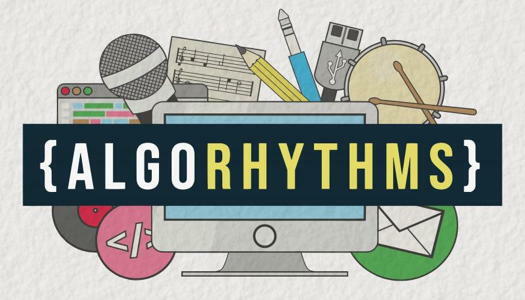 Who put the rhythms into algorithms? 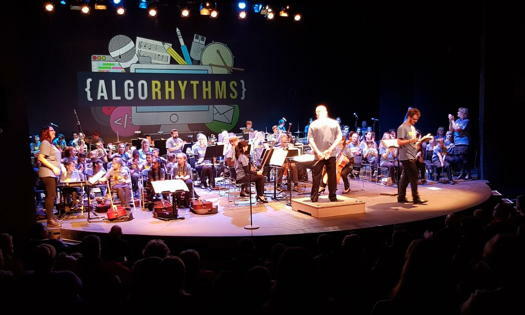 Sinfonia Viva and eighty Derby schoolchildren and college students did, in the orchestra's latest schools project - Derby Theatre, Derby, UK, 12 March 2019. Conductor David Lawrence, two of Viva's musicians - cellist Deirdre Bencsik and violinist Clare Bhabra - workshop leaders Raph Clarkson and Jessie Grimes, and singing leader Rachel Wilkes, joined pupils from Beckett Primary, Firs Primary and Bemrose schools, and Derby College. The usual mix of songs - some devised by the students themselves, some specially written by Clarkson and librettist Hazel Gould for everyone to take part in - and some ingenious choices of established repertoire pieces continued the mathematical theme of the last few years by exploring aspects of computer programming. The opening song, 'This is How We Grow', turned the process of de-bugging a computer programme into a philosophical piece about learning from our mistakes. Derby College's 'Breakdown' vividly suggested a computer crash, developing a nice bluesy feel; Beckett Primary School's 'Aibo' created an optimistic picture of a robot dog replacing a deceased pet. (I wasn't entirely convinced by this scenario, but let's move on.) In 'This is Our Song' Bemrose students moved beyond computer languages to look at the variety of spoken languages in the school. Firs Primary brought a warning from the future in their song, 'Mainframe'. Viva's contributions began with two movements from J S Bach's Suite No 2: the Rondeau (which established looping as an idea to be followed up later) and Badinerie (an early mobile phone ring-tone, as Clarkson reminded us). Rachel Holt was the flute soloist in bubbly performances, though the balance was not ideal. There was some exploration of musical ciphers, too. A couple of snatches from Shostakovich's Eighth String Quartet introduced the concept, via his DSCH motif. The idea was taken up by composer Josephine Stephenson in her engagingly ethereal By Red - the title an anagram of 'Derby', the city's name generating the motif D-E-C sharp-B-C natural, an ever-present ostinato which re-connected with the looping idea.